Four different pattern ideas for spiral peyote, including Copper Spine, Black Crystal Spine, Raspberry Spiral, and Olive and Copper Spiral. 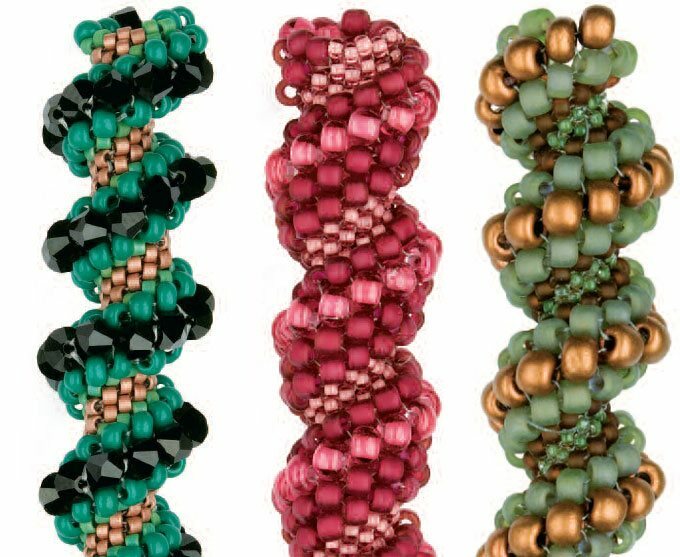 Download includes bead colors, quantities, and sizes, along with photos of finished samples, but no step-by-step instructions. Originally published in the November/December 2007 issue of Step by Step Beads.